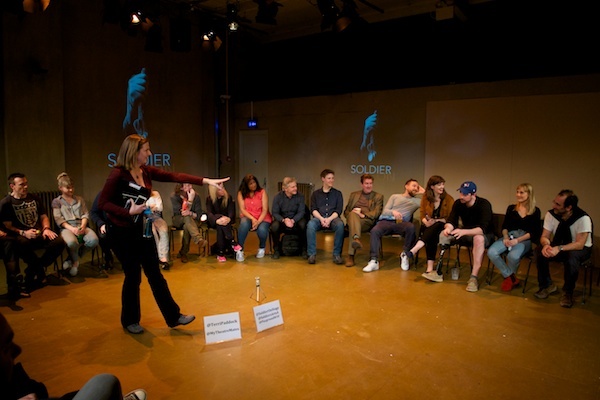 Q&A photos and podcast: How has theatre helped Soldier On‘s veterans recover? 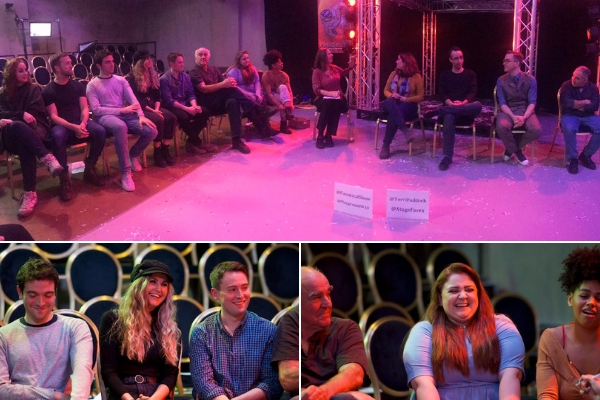 I’m pretty certain that my event last night at SOLDIER ON was my largest-ever panel for a post-show Q&A: in total, there were 19 of us, including me. Thank goodness the Playground Theatre had plenty of chairs and just enough room to arrange them in arc across the stage (I chose to stand and rove! ).